1. It is composed of two cylindrical barrels and connecting lines. The inside and outside surfaces have been polished. The filter cartridge is installed with stainless steel filtering screen and filtering screen supporting basket. Deflation valve installed at the top of duplex filter plays the role of discharging air in the filter while filtering. 1. This board frame filter is resistant to corrosion and is very durable. 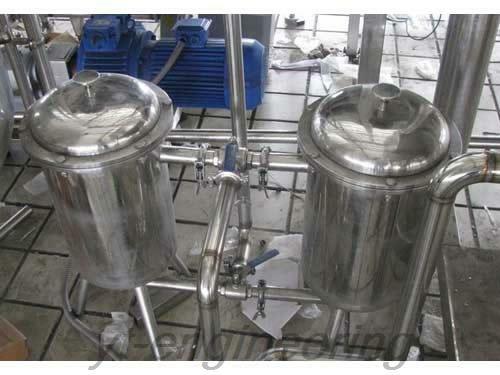 Filtering machine is a kind of commonly used equipment in industrial production. It mainly includes vacuum and pressurized types. Revolving drum, disc and horizontal belt type are vacuum filtering equipment, while filter pressing, squeezing and dynamic filtering belong to pressurized type. 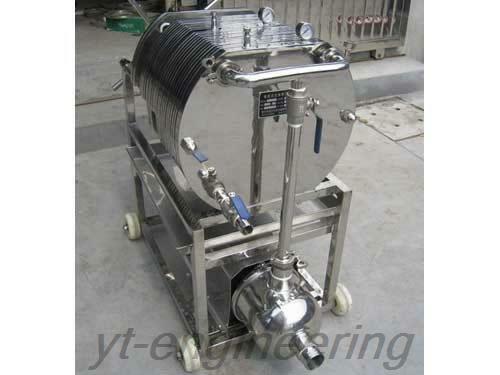 Yutong filtering machines mainly cover SSL duplex filter and BAS stainless steel plate filter. 1. Our filtering equipment is characterized by large carrying capacity of pollutant, fast filtering, low using cost and convenient operation. 2. Yutong filtering machine is also resistant to high pressure and high temperature. There is no material liquid leakage, so it is much healthier. 1. When customers buy filtering equipment, you should select proper structure and texture depending on the content of impurities in oil, the differential pressure of front and back of filtering machine, oil viscosity and oil temperature. 2. If customers select approved products, you had better check their nameplates and output, which can be calculated by connector tube diameter and working flow rate. The flow rate of filter in the suction side of oil pump can be calculated at less than 1 m/s, while for the filtering equipment in the outlet side of oil pump, we often adopt the flow rate of 1 m/s to 1.5m/s. 1. It should be cleaned regularly. The front and back differential pressure is usually at 0.2 kgf/cm2. If it is more than this differential pressure, maybe the internal part is blocked. Regular cleaning time depends on the structure and running conditions of filtering equipment. 2. When users clean filtering machines, they can choose not to dismantle the top cover. Make use of steam for backwash and discharge from the discharge pipe. Regular opening the tope cover is quite necessary. Take out filtering screen and use kerosene to clean and then install it as before. The burrs on the filtering screen that are difficult to remove can be burned by fire. However, steel filtering screen will not be used any longer. We must use new filtering screen. 3. The surrounding parts of filtering equipment must be sealed well. Jiangsu Yutong Drying Equipment Co., Ltd is a professional manufacturer and supplier of filtering machines in China. In addition, we also provide drying machine, grinding machine, granulating machine, extractor and concentrator equipment. Our company has been awarded as “AAA” enterprise by Jiangsu International Credit Assessment Company. Our filtering equipment is highly appraised by customers worldwide.